Cosmetic dentistry refers to a variety of procedures intended to improve the appearance of your smile. These are elective treatments that you can choose to receive, instead of treatments that are required to address acute specific dental issues. Some cosmetic treatments can be considered restorative, as they are used to help restore the condition of your teeth. This includes dental fillings. Fillings are used to restore teeth that suffer from decay or other dental issues. 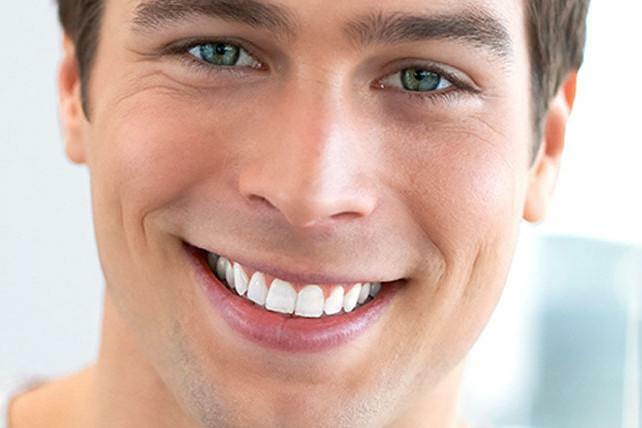 Cosmetic dentistry refers to a wide range of treatments. The majority of the procedures are minimally invasive, with quick recovery and little to no pain. Teeth whitening is one of the most common cosmetic procedures. It is used to make teeth appear several shades lighter. A bleaching agent is generally used to achieve the desired results. Over time, stains can slowly change the color of your teeth. This can include stains from cigarette smoke, drinking coffee or tea, or even the food that you eat. A lack of proper dental hygiene can also lead to staining or discoloration. Teeth whitening is a relatively quick process. There is also very little discomfort. Some patients may experience mild sensitivity immediately following the bleaching, but this should pass within several hours. Composite bonding is used to help correct the appearance of damaged teeth. This includes teeth that have been chipped or broken. Tooth decay and major discoloration can also be addressed with composite bonding. With composite bonding, a material is bonded to the outer surface of the tooth, or multiple teeth. This material resembles real tooth enamel and can be sculpted or contoured to create a completely natural smile. Once the composite material is placed over the teeth and shaped, a high-intensity light is used to harden the material. With proper technique, the completed work should appear natural. This allows you to restore the condition of your teeth without intensive surgery or dental work. Inlays and onlays are similar to traditional fillings, with a few key differences. As with regular fillings, a porcelain or composite material is fitted to your teeth to restore the structural damage. Instead of being molded directly to your teeth in the dental office, the inlay or onlay is made in a dental lab. After the inlay or onlay is created, it is bonded to your teeth during a simple office visit. Dental veneers are very common. They are essentially thin layers of a porcelain or composite material that is bonded directly on the front of your teeth. This option is generally chosen when a patient has multiple teeth that require restorative work. With veneers, you can create a completely even smile, if you have multiple teeth with discoloration, cracks, or chips. Lab technicians make the porcelain veneers after a mold is taken from your mouth. A follow-up appointment is needed in order to bond the veneers to your teeth. Composite veneers can occasionally be completed in one day. Your dentist will sculpt the material on your teeth and then bond it in place. Dental crowns cover the outer surface of a damaged tooth. These crowns are available in a variety of different materials. This includes porcelain fused to metal, metal, resin and even ceramic. The cost of these crowns will vary, but the individual cost of each crown is generally more expensive than basic restorative treatments. 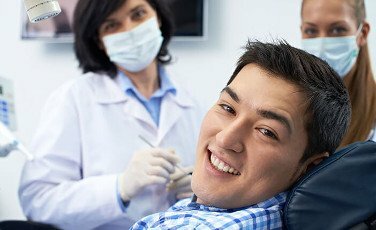 Dentists will often recommend crowns when other options cannot restore the condition of the tooth or when a patient has undergone root canal treatment. You may require two visits in order to get a crown. Some dentists will make a temporary crown in their office. Once the permanent crown has been made in a lab, you can come back in to have the crown attached to your tooth. With proper care, these crowns can last for decades. A bridge is used when you need to replace multiple teeth. For this reason, bridges are also sometimes called fixed partial dentures. The bridges are used to connect multiple artificial teeth in your mouth, by joining a crown and a bridge to your jaw. These bridges are fixed in place. They are a permanent solution. Though, proper dental hygiene is needed in order to maintain them. A smile makeover is simply a term that we used to describe a series of procedures intended to improve the condition of your smile. This could include any combination of the dental procedures discussed, including crowns, veneers, or whitening. A complete reconstruction is only used when there are specific functional issues with your mouth. This can include issues related to your bite or the bone structure of your jaw and teeth. The bottom line is that cosmetic dentistry covers a wide range of procedures and treatments. These options are not always performed in order to offer a specific medical benefit. Instead, they are used to improve the appearance of your smile. 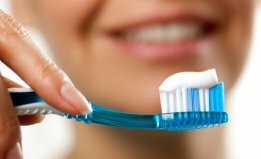 What is the Difference Between Dental Materials? 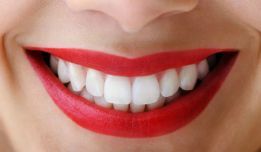 When you get composite bonding, veneers, crowns, or other treatments, a material is often used to recreate the appearance of healthy enamel or teeth. This includes porcelain, composite resin, porcelain bonded to metal, various metals, and ceramic. Porcelain is popular, due to the fact that it resembles natural tooth enamel. It is easier to create a natural smile with porcelain materials. But, porcelain can also cost more than composite resin or metal. How is the Price Determined for Cosmetic Dental Procedures? The cost of each of these procedures will vary. There are numerous factors that determine the final cost to the patient. 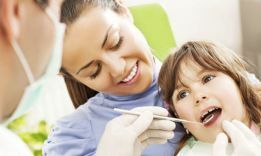 First, you must consider if your insurance will cover any portion of the dental work. Generally, since cosmetic procedures are elective, your insurance may not cover the treatment. This will depend on the reason for the treatment and the type of dental coverage that you have. Along with your insurance, other determining factors include the complexity of the procedure, the number of teeth that are being restored, and the materials that are used. Some materials cost more, yet they are more durable. Before you agree to a cosmetic dental procedure, your dentist should provide you with a quote. This quote should include a complete breakdown of the costs so that you have a better understanding of how the price was determined. How Do You Know if You Quality for a Cosmetic Dental Procedure? As mentioned, most cosmetic dental procedures are optional. It is up to you if you want to undergo these treatments. But, you must consult with your dentist in order to determine which treatments will help you get the results that you want. Hopefully, this information has addressed some of your main concerns and questions about cosmetic dentistry. If you believe that you’re a good candidate for any of the procedures discussed, then contact a dental practice near you today.